You asked for it, and we did it! 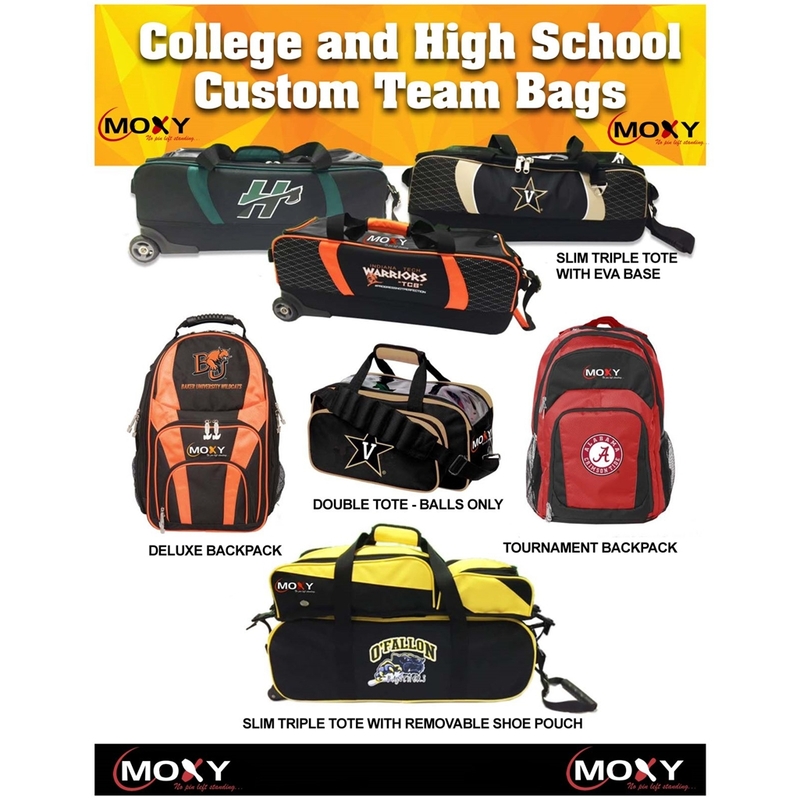 We have had many requests to offer customized Moxy Bowling Bags for Colleges and High Schools. We worked out the specifics with our supplier to make this happen. 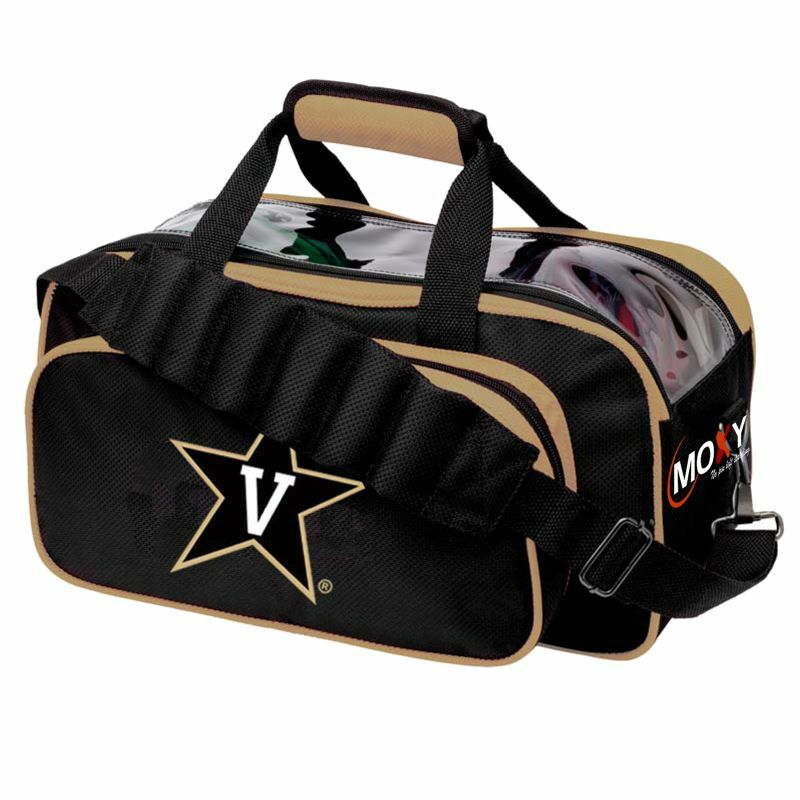 Pricing includes your school logo and school colors. Prices also include shipping. The Minimum Order quantity per style is 24 bags. Design proofs are provided at no additional charge once the order has been placed online or by phone. 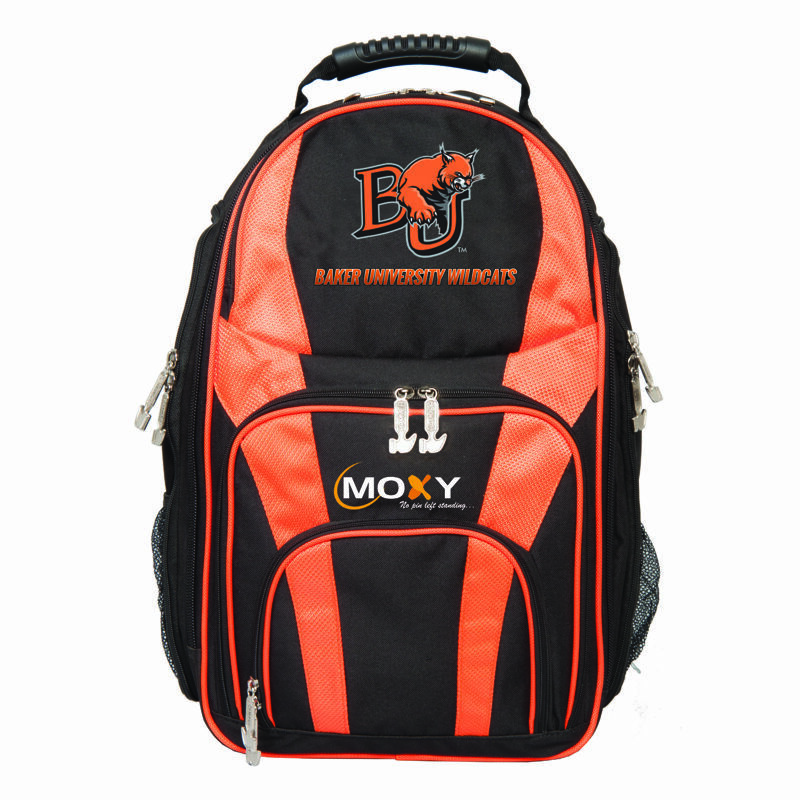 The Moxy logo colors will be color coordinated with the school colors. 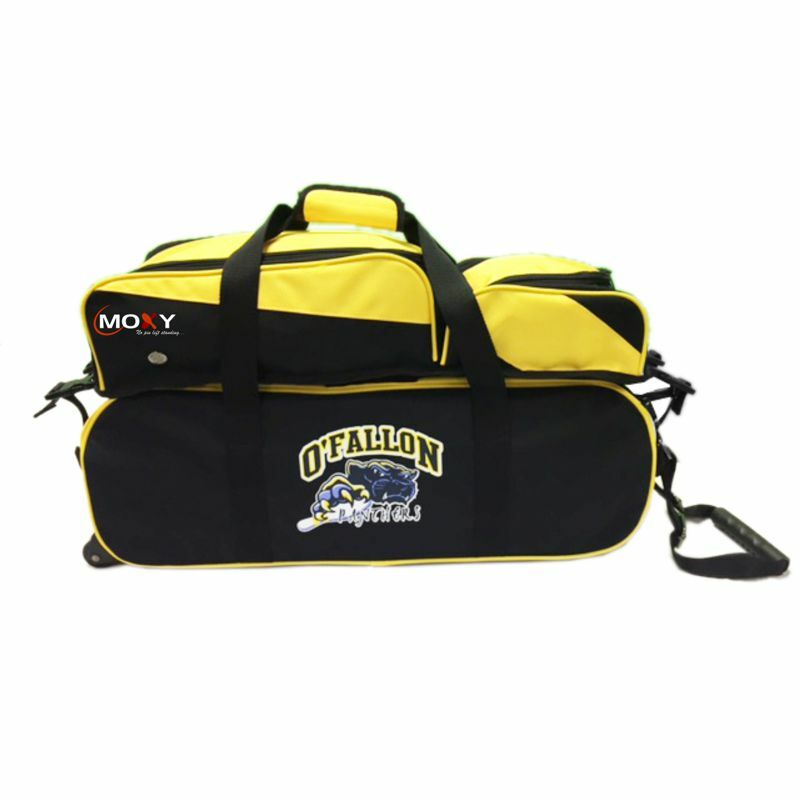 Due to these being a custom item, full payment is required or an authorized Purchase Order from your organization. Once the proofs have been approved, delivery is approximately 90 days from the date of the order. Once you select the bag in the drop down menu, the pricing will be displayed. Once added to your cart, you will need to add a quantity of 24 or more bags. This holds 2 bowling balls only. There is also a small accessory pouch on the front. The top is clear for easy viewing of the balls inside the bag. 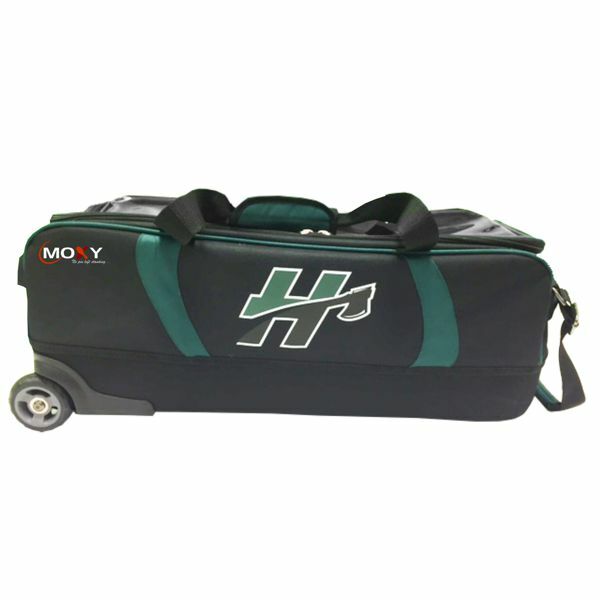 This is a great backpack to hold all your bowling shoes and accessories. You can also use this for school for homework and other things. Please type in your school colors. This is where you can type in your school colors. Please upload the logo here. If you do not have it, that's OK. We will contact you after your order is placed. 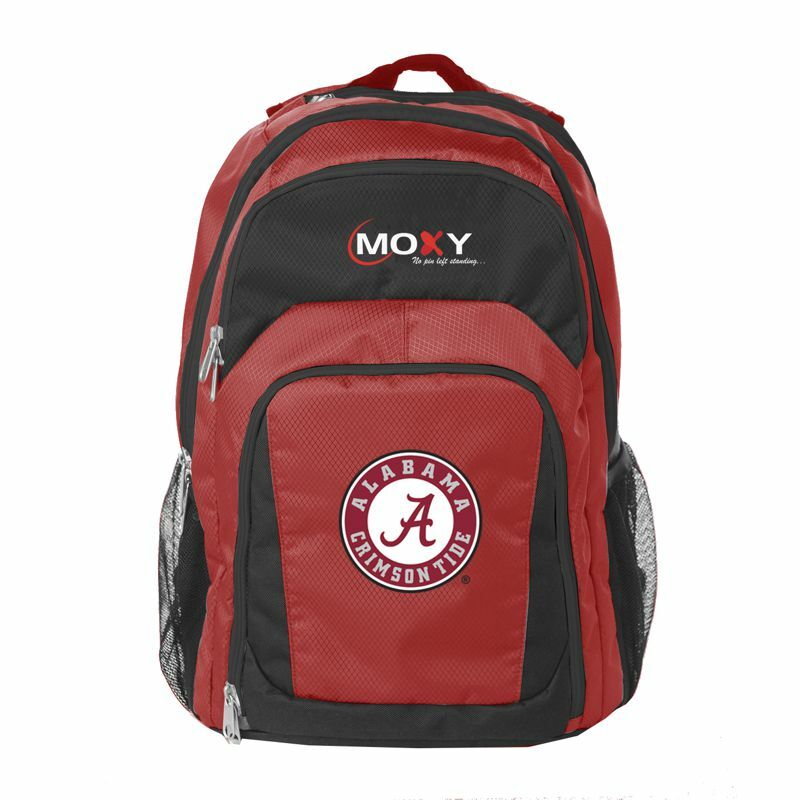 Pricing includes your school logo and school colors. Prices also include shipping. The Minimum Order quantity per style is 24 bags. Design proofs are provided at no additional charge once the order has been placed online or by phone. I understand production will take approximately 90 days from the date of the order.